Do you know anyone close to you who has weak eyesight? You probably do, since so many people suffer from one or more eyesight problems. 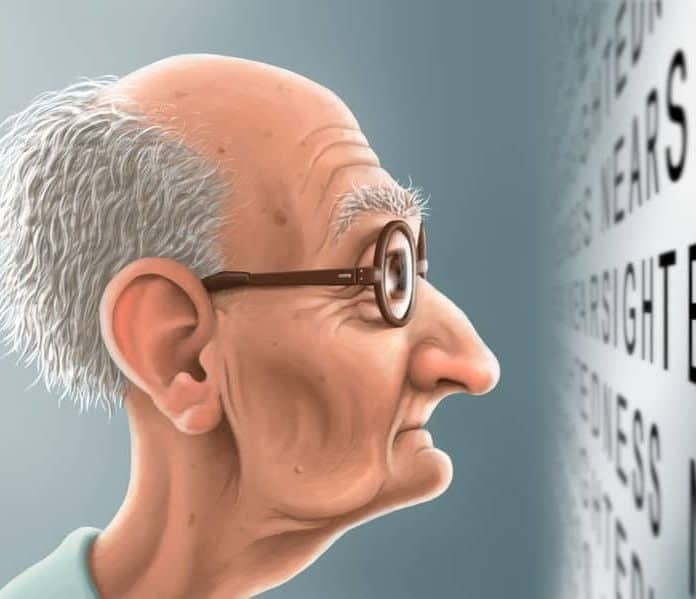 The high number of people with bad eyesight can be attributed to a number of factors, including an ever-aging population, eye strain, glaucoma, cataracts and diabetes. It is vital to note that aging is the primary cause of poor vision. Eye strain is the most common cause of bad eyesight. Focusing on a computer screen for too long can also cause eye strain, making it harder for eyes to focus on objects that are further away. It is also true that staring at television and computer screens is not good for your eyes. Eye strain can also be attributed to the nature of your work, especially if you spend many hours reading, writing and concentrating. Another cause of bad eyesight is glaucoma. Glaucoma is a serious medical condition caused by increased pressure within the eye itself. This pressure eventually leads to impaired vision. There are two types of glaucoma: Open-Angle and Closed-Angle. Open-Angle Glaucoma is a prolonged but painless condition, while Closed-Angle Glaucoma can be sudden in onset and causes acute pain in the eye. Glaucoma can be difficult to treat and in some cases, can lead to blindness. Cataracts are another condition that causes bad eyesight. The condition causes a cloud or opaqueness to cover the eye, causing loss of vision. The most common cause of cataracts is the normal aging process, although sudden trauma and certain diseases can trigger the clouding process. Diabetes is another major cause of visual problems. Patients with diabetes often suffer from sight issues, as diabetes causes damage to the retina in the back of the eye. Weak eyesight is usually correctable with prescription glasses, lenses or surgery. You can also try some natural home remedies to help improve your eyesight. Here are the top 10 home remedies for weak eyesight. Apply a hot and cold compress. Soak one towel in warm water and one towel in cold water. Place the warm towel on your face, making sure it drapes over your eyebrows, closed eyelids, and cheeks. After three minutes, remove the warm towel and place the cold towel on your face. Keep alternating between the two towels as desired, making sure to end with a cold compress. Alternating temperatures on your face will cause vasoconstriction and vasodilation – physiological changes that will stimulate your face and the skin around your eyes. You can also do a full face massage with a towel soaked in warm water. Rub your neck, forehead and cheeks with the towel. Next, use your fingertips to gently massage your forehead and closed eyes. Strengthen your eyes’ near and far focusing. This exercise will strengthen the muscles in your eyes and help you maintain your current vision level. Sit in a chair or stand in front of a blank wall. Place your thumb about 10 inches in front of your face and focus on it. You can also focus on an object that is five to 10 feet away for 10 to 15 seconds. Next, focus on an object that is 10 to 20 feet in front of you without tilting your head for 10 to 15 seconds. Keep alternating your focus between your thumb and the object 10 times at each set. Practice zooming with your eyes. This is an effective eye focusing exercise, as you have to constantly adjust how well you can focus on an object from certain distances. Start by sitting in a comfortable position. Stretch out your arm with your thumb up. Focus on your thumb. Bring your thumb closer to you, focusing until your thumb is about three inches in front of your face. Move your thumb away again until your arm is fully outstretched. Repeat this exercise three more times. You can do them once a week. You can also do this exercise by holding a pencil in front of you at arm’s length. Move your arm slowly to your nose. Follow the pencil with your eyes until you can’t focus on it any longer.